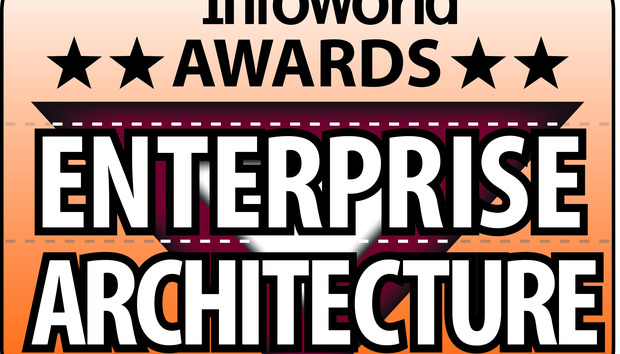 This year’s Enterprise Architecture Awards come with a theme: speed and responsiveness. Business leaders are demanding that their organizations move faster -- everything from updating digital capabilities to enabling greater agility in interactions with customers and suppliers. In theory, EA should be able to help achieve this acceleration. But how can enterprise architects, often considered the police of technology, deliver on the potential? Our 2016 batch of EA Award winners shows how. Humana, one of this year’s award winners, expresses the core idea in a simple sentence: “’Enterprise architecture is primarily a verb, not a noun.” In other words, EA should drive continuous change, not merely enforce policies or manufacture static end-states. That sentiment applies to all five of this year’s winners: Humana, MassMutual, South Sate Bank, Aetna, and Cummins. The EA teams in these companies are delivering business results because they embed insight and guidance into the decisions made by their business and IT leaders -- enabling those leaders to “enterprise architect” how they achieve business results. The result? Speed and responsiveness for the enterprise. To select our winning entrants this year, we assembled a panel of three expert judges. Our heartfelt thanks to Kishore Sarathy, vice president of architecture for CapitalOne; David Trice, IS strategy and architecture director for Centrica; and Gary Smylie, information management enterprise architect for Idaho National Laboratory. Their insight and expertise resulted in the selection of these five winners, all stellar examples of the transformative impact EA can have. Over the past five years, Humana has transformed from a health insurance company into a combination of more than 40 companies and business units that span all aspects of health care. At the same time, the health care industry has been subject to broad regulatory changes along with a big shift in the way consumers purchase and interact with health care services. Humana’s response to this has been to grow through M&A, business development, and the launch of new lines of business and subsidiaries. This transformation demanded an enterprise architecture strategy to deliver on the ambitious new business strategy. Two and a half years ago, Humana’s IT and its business partners began focusing technology investment around key strategic areas. Humana’s EA practice identified synergies across the strategic focus areas, which became the genesis of a Future State Architecture (FSA). The FSA is composed of business-oriented domains, which provide a logical collection of business processes, data subjects, systems, and services that enable a business competency -- and are exposed as enterprise services and APIs. IT leadership observed the value of the FSA and the associated challenges and responded by aligning the IT operating model organizationally with the FSA. As the FSA was developed, Humana leveraged many disparate architect roles that spanned organizational boundaries. A highly distributed, yet centrally coordinated, federated architecture practice ensured close proximity to business and delivery. Transformational initiatives require considerable culture change. To drive that change and to ensure the success of the IT strategy and the FSA, EA was embedded into IT leadership and helped make the architectural approach more strategic. To drive this forward while being pragmatic, they educated teams on embracing transitional architecture, so the FSA could move forward incrementally rather than an all-or-nothing approach. To make the FSA actionable, Humana established a centralized enterprise integration competency within EA. This enabled EA to provide a reference architecture through integration patterns, standards, and guidance. Leveraging synergies identified in the IT strategy, the company developed enterprise-class utility services and provided oversight on core integration technologies, resulting in significant economies of scale. For example, the fax utility service saved more than $1 million by “building once” and adding two dozen consumers. Humana believes "Enterprise Architecture" is a verb and a noun. The federated architecture approach, coupled with enterprise integration competency, constantly endeavors to make the FSA a reality. As EA Awards judge David Trice remarked, “a strong mix of practical steps and higher-order approaches that ensured the EA team was relevant at both the tactical and strategic levels." MassMutual brings innovative insurance and investments solutions to a broad swath of customers. In today’s dynamic business environment -- defined by shifting consumer expectations, low margins, regulatory headwinds, and the threat of disruption -- MassMutual must balance sound risk management and efficiency with the ability to innovate and create compelling customer experiences. To pivot from a traditional financial product “manufacturer” to a customer-centric, digitally enabled business, MassMutual’s technology team needed to change the way it approached its mandate. This shift focused on instilling the business fundamentals of customer orientation, dependable delivery, service excellence, and fiscal responsibility alongside technology skill. To be successful, the company needed to develop and enhance critical business platforms powering day-to-day business operations -- while at the same time creating contemporary consumer-facing digital capabilities to meet the changing needs of the marketplace. This “bimodal IT,” with multiple teams working on different fundamentals, requires a strong EA practice focused on providing a consistent, disciplined, and standardized approach to how technology is implemented. To achieve this, the EA practice has reoriented its focus on two key areas. First, it has maximized the value of technology investments by empowering distributed decision-makers inside and outside of IT to quickly understand their options and make data-driven and architecturally sound technology decisions. Second, the EA practice has served as an agent of innovation. In the past, the lack of a true understanding of the technology portfolio or a common view of the business not only inhibited the ability to optimize technology investments, but also created drag on the business resulting from narrow, disjointed decisions. This often led to redundancy, greater exposure to risk, and a suboptimal customer experience. MassMutual’s EA group addressed this gap in several ways. It created a digital Enterprise Reference Architecture (ERA) or “city plan” to provide a common view of the business and a shared model to guide the transformation and position MassMutual for ongoing change and flexibility. In addition, an integrated EA Management System (EAMS) provides decision makers with detailed technology portfolio insights. For the first time, the company gained a single source for multidimensional, multirelational intelligence to fuel data-driven simplification and optimization of technology -- allowing investment to be shifted to growth, innovation, and improving the experience of customers. EA-guided growth and innovation teams are now building on the classic EA deliverables (such as blueprints and architecturally scalable designs) by providing prototypes, market tests, and assessment of high-risk portions of large complex systems. The results have been impressive, ranging from human-centric digital transformation of customer journeys to the creation of a business-leading algorithmic underwriting engine. Business ideas that would have taken months and years to develop are now being tested and deployed in days and weeks. The largest bank headquartered in South Carolina, South State Bank is an $8 billion financial institution focused on retail banking, commercial banking, loans, and wealth management. Like most banks, it has experienced changing customer behavior and faced increasing competition, including from fintech startups. To address the changing landscape -- and to keep up with larger banks and their larger budgets -- an EA program was established to help South State Bank adapt. The goal of the EA group was not only to help the bank prepare for digital transformation, but to also act as a catalyst for change. The EA practice adopted the Japanese organizational philosophy Kaizen, which counsels: "Engage in activities that continuously improve all functions." “Agile” EA would seem counterintuitive, given that EA typically sets standards and follows a ritualistic approach derived from EA frameworks. South State Bank, however, has tailored the TOGAF framework to fit its Kaizen approach. This has enabled continuous architectural improvements to drive specific business outcomes while eliminating the overhead of many EA formalities. The architecture team serves the bank as a whole -- as a part of project teams or in engaging with leaders of business divisions. Architectures and transitions are designed quickly using EA tools to produce various collateral that can be consumed by architects and nonarchitects like. Working hand in hand with business technology experts, the bank has successfully cut typical time to market in half. Users can select a capability and browse the underlying service (or services) that support it -- and even drill down to an individual component that supports the application. In effect, the EA practice produced an interactive “state of the enterprise,” constantly updated with the latest changes. Collectively, it’s a dynamic artifact that makes managing change much easier, because everyone involved can refer to a consistent set of architecture models. Ultimately, the success of EA is defined by expected business outcomes across of a variety of initiatives. At South State Bank, these included the successful launch of online mortgage applications, which took only three months; a four-month overhaul of the bank’s enterprise imaging system, which involved a redesign of the architecture and external interfaces from the ground up; and a newly designed platform for the bank’s loan processing system. In addition, as part of an application portfolio rationalization effort, the EA team cataloged numerous redundancies and unused applications, resulting in the retirement or decommissioning of 60 services over the course of six months. Finally, through the implementation of a hybrid cloud architecture, South State Bank now bursts to the public cloud during surges in web traffic. The latter project took less than two months and immediately gave customers a better, more reliable user experience. The EA team considers its biggest success to be a buy-in from IT and non-IT folks alike, thanks to a successful track record of delivering change. The architecture portal is used extensively across various lines, from strategic decision makers to application support specialists. The EA team is now a trusted resource for the majority of initiatives at the bank. At Aetna, creating a hybrid business platform is a strategic imperative. The ability to mix and match best-of-breed business capabilities has become a necessity due to shorter change cycles -- not to mention the transformational forces of the Affordable Care Act. In early 2015, Aetna decided to create a brand-new consumer-centric health plan. The new business platform would be owned by a new Consumer Business organization, provide new products to the market, base itself on a different engagement model, and apply digital-first principles and new business processes across the board -- all relying on a new technology platform. Historically, Aetna’s EA organization focused primarily on enterprise value, IT interoperability, information consistency, and technology governance. While the EA team had plenty of experience with business process optimization, the Consumer Business program required a more transformational approach. Prior to the initiative, EA had been sitting “outside” delivery projects. For the Consumer Business program, architects needed to become integral parts of delivery scrum teams, while at the same time providing an architectural runway to keep the program moving at optimal speed. To accomplish its goals, the company needed approximately 70 architects to engage in the program, divided into three distinct roles: systems architects to engage at the program level; solutions architects to create solution sketches and determine the information flow; and integration architects to translate information needs into actual integration designs, which included services and APIs, as well as managed file transfers and data transformations. To further promote quick decisions, the EA practice established an “architecture risk scrum” held at 4 p.m. every day that brought together all three types of architects to address pressing issues. The scrum has become “tier 0” of Aetna’s overall EA governance scheme. In addition, solution and integration architects were empowered to focus on (and become experts in) their designated aspect of a complex hybrid project. Architects became part of delivery teams; risk and value became the focus rather than compliance. The benefits included integration of software from 15 different sources through 400 integration points, delivered in 10 months and at less than 25 percent of the traditional cost of integration. Design defects were reduced by 50 percent and delivery speed was doubled. All told, 90 percent of architecture risks were eliminated within five days. Cummins is a global leader in designing, manufacturing, and servicing engines and related technologies, from fuel systems to power generators. Five accelerators were identified by Cummins executives as strategic objectives for accelerating growth in revenue and profitability: Adopt a growth mindset, move from multinational to global, become excellent in customer support, achieve supply chain excellence, and lead in critical technologies. These accelerators require multiple transformations across the Cummins enterprise. In endeavoring to meet these goals, Cummins faced the challenges of global deployment, siloed processes, and limited IT lifecycle management with weak governance. The company was also hampered by redundant and rigid applications, customizations and complex dependencies, multiple sources of truth, and limited skills coupled with lack of continuous training. On top of all that was a lack of enterprise-level transformation planning. The EA program created an architectural foundation of frameworks, governance processes, standards, and practices to guide transformation initiatives. The team also provided an enterprise information architecture; technology road maps; and a service excellence framework for enterprise integration, information, application platform, digital platform, and security service centers. Cummins' EA team can point to tangible business outcomes as a result of its work. These range from increased revenue from B-to-B, e-commerce, and telematics operations to cost savings from application rationalization and infrastructure simplification -- not to mention capability improvements across the Cummins business. The value of architecture in terms of successful transformation has been quite visible to stakeholders, earning the EA team credibility and support it can build on going forward.